What’s Up on this Day? Don’t confuse this day for Administrative Professionals Day or Secretary’s Day. Receptionists, this is your day! Okay, maybe it’s not a day off. But, it’s a day to recognize and appreciate all the things that you do! The purpose of Receptionists Day is two-fold. First, of all, it gives recognition to receptionists. After all, they are the first person your customers see when they walk through the door of your company. The great first impression is molded in large part thanks to your smiling, cheerful receptionist. The second reason for Receptionist Day is to promote pride and professionalism in the position. On this day, treat your Receptionist with flowers, candy, or a lunch! Our extensive research on this day came up with little substantial information about the history or origin of this day. We only discovered one site with any real content about the day. This was at the National Receptionist Association. We did find this day listed on countless Ecard websites. 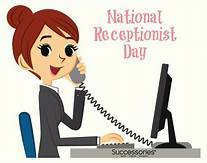 We found an occasional reference to “National” Receptionist Day. However, we could find no information or government record to suggest it was voted by the U.S. Congress as a true “National” day. National Nurses Week and a number of specific Nurses Days during this week provides recognition to nurses for their contributions and commitment to quality health care. It brings awareness to the importance of nurses in the care, comfort, and well being of all of us, and especially our children and the aging, and those in poor health. The roots of International Nurses Day goes back to 1953, when Dorothy Sutherland of the U.S. Department of Health, Education, and Welfare sent a proposal to President Eisenhower to proclaim a “Nurse Day” in October of the following year. The proclamation was not officially made. But, this day was born and eventually gained national recognition. International Nurse Day is celebrated on May 12, because this it’s the birthday of Florence Nightingale. In 2003, National School Nurses Day was moved from the fourth Wednesday in January to the Wednesday of Nurses Week. Many websites, still record School Nurses Day in January, unaware of this change. 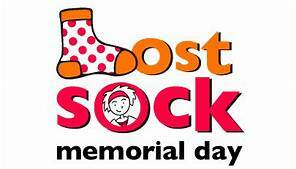 Lost Sock Memorial Day recognizes your drawer full of unmatched socks. Each unmatched sock represents a missing sock. We never throw away our unmatched socks. After all, it may show up someday. On Lost Sock Memorial Day, we suggest you spend a little time (as little as possible) searching for those missing socks. After a (very) brief search, and in good “Memorial” spirit, spend a minute reflecting upon how warm and comforting the missing socks were on your stinky toes. Then, by all means, get on with your life. we encourage you to use this special day, to toss out all of your unmatched socks. Let’s face it, you’re never gonna find the missing one. Despite exhaustive research, we found no one who was brave enough to claim responsibility for starting this wonderful day of remembrance. http://arcadiawindber.com/wp-content/uploads/2018/05/Whats-Up-Wednesday.jpg 161 328 Windber Arcadia Windber Arcadia2018-05-09 17:45:582018-05-09 17:46:50What's Up on this Day? Don’t Wait, It Will Be Too Late…….. There is Still Time….